Are you confident in your plan, or are you just hoping for the best? Retirement Projections - Do you know how your plan would hold up under adverse market conditions (like in 2008)? A sound retirement plan requires more than just finding your "magic number" or reading about a sustainable withdrawal rate. We structure detailed retirement plans based on how they would likely be impacted by varying market scenarios. 401k/Pension Guidance - Do you understand the differing payout and rollover options offered by your pension or 401k? How you choose to receive your distributions, when you choose to receive them, and the survivorship option you select for your beneficiaries are all important decisions we help with along the way. Social Security Analysis - Do you understand how recent legislation has changed rules related to spousal benefits? You can begin your own Social Security benefits any time between age 62 and age 70. We analyze the different options available to you to determine a strategy that we feel is most beneficial to your retirement plan. Required Minimum Distributions - Do you understand how IRS requirements can complicate a retirement plan? These IRS requirements may make retirement planning more complex once you reach the age of 70 ½, especially if you are the owner of multiple retirement accounts. We help our clients calculate and distribute the required amount to help avoid the 50% penalty for missing the RMD deadline. Partial Roth Conversions - At the beginning of retirement, will you have a period of time where your taxable income may be lower than past years? If so, you may want to consider a partial Roth conversion. We identify when these opportunities may exist and assist with the process. Basic Estate Planning - Are you confident your financial affairs are in order? If they are not, probate can be costly and time consuming. Taking simple steps such as ensuring that your life insurance and investment accounts are titled correctly and have the proper beneficiaries can simplify the burden for your family. We also work closely to coordinate with estate attorneys on more complex matters such as wills and trusts. Our independence from any bank or mutual fund company allows us to choose investments for our clients without any bias or conflict of interest. Your customized portfolios will be constructed, monitored, and adjusted with your best interests in mind. 401k Rollovers - Do you have money sitting in a 401k from an old job? Rolling over an old 401k can be a confusing and dubious task that can result in penalties or taxation if not done properly. 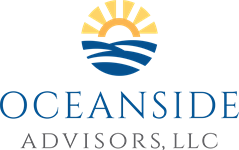 We provide the option to rollover your old 401k(s) into an IRA in an effort to consolidate your retirement plan and allow for a wider variety of investment options. Traditional and Roth IRA Accounts - Have you considered utilizing all of the tax-advantaged accounts available to you? Traditional IRA and Roth IRA accounts are a great way to save for retirement. After gaining an understanding of your current financial picture, we can help you determine which type of IRA might benefit you more. Depending upon your income, these accounts can sometimes be used in addition to your existing retirement plans at work. Brokerage Accounts - Would you like to open an investment account while still being able to access your funds without penalty? Brokerage accounts are a nice way to save for intermediate to long-term goals. Maybe you have already maxed out your IRA contributions but want to save more. Brokerage accounts may also be appropriate if you feel you have too much money sitting in checking/savings accounts and you would like to be a little more aggressive. Self-Employed Accounts - Are you self-employed and looking to save for retirement? Opening a SEP IRA, SIMPLE IRA, or Solo 401k account may be a good option for you. In many cases, owners of these accounts are allowed to contribute and deduct more into these plans than through Traditional/Roth IRA options. We will help you understand the IRS requirements of each account option so you can make an educated decision. Educational (529) Accounts - Would you like to help your children or grandchildren pay for their education? One of the most positive, yet overlooked changes within the recent Tax Cuts and Jobs Act (2018) is the increased flexibility given to 529 Savings Plans. Instead of only being able to use 529 funds for higher-education, beginning in 2018, these funds may now also be used for private, public, and religious K-12 education. Contributing to a 529 plan may also provide you a state income tax deduction. Inherited Accounts - Have you recently received an inheritance and are unsure of your options for collecting and managing the proceeds? An inheritance almost always comes as a result of a loss of someone you hold dear. During this difficult time, it can be challenging to navigate the IRS distribution requirements and options to make the decision that can best fit your financial plan/situation. Financial planning is the foundation for which your investments, insurance, and retirement plan are built upon. Net Worth Analysis - Why is it beneficial to create a Net Worth Statement? Creating a Net Worth Statement gives us a birds-eye view of your financial picture. Among many things, it may allow us to identify certain debts that should be paid off, as well as help us give you guidance on future financial decisions. Tax Planning - What type of year-round tax planning are you doing? No one wants to pay Uncle Sam more than they are required to do so. Are you aware of how your investment accounts are taxed differently? We help our clients understand why certain investments should be held in certain accounts and not in others. We also help you identify which type of accounts you're eligible for that may lower your tax bill (IRAs, HSAs, 529s, Donor Advised Funds). Budgeting/Cash Flow Analysis - Have you ever wondered "Where does all my money go in a month?" Maybe you have never created a detailed budget which explains where each dollar you spend goes. If you are striving to save more for retirement, a cash flow analysis can help identify areas of your current spending that may be improved upon. Mortgage Planning - What type of mortgage is best for me? There are pros and cons of differing mortgage structures and time length. Based on your income and cash available for down-payment, we help you identify the type of mortgage that suits you best. Student Loan Planning - Are you unsure of which loan to pay off first? Student loans may seem confusing, especially when you have multiple loans with different interest rates. We will help you make sense of your student loan situation, and structure an actionable plan for you to pay down your debt.